Pete Sessions and the anatomy of an empty idea - Combat! It’s quite simple that the American people do understand the agendas that are before us. They understand what the President and the Speaker stand for, and they understand what Republicans stand for. Republicans—and especially our candidates, who are all over this country—very strong, standing with the American people back home. We need to live within our means. I think we’re all relieved to know that Republicans very strong standing with the American people back home—apparently they’re in Iraq or something—and also that their candidates are all over this country. We’re going to need them to implement our innovative new plan for balancing the budget, which is to live within our means. Once we’ve taken care of that, we can win the war in Iraq by committing to victory, fix Social Security by ensuring its future, and finally talk to that pretty girl at the bookstore by taking a chance. This sort of reasoning is useful for speaking on television but becomes less so when you’re actually, you know, running a country. If the views of Republican congresspeople are accurately represented by the chair of their caucus, they appear to be in full-time opposition party mode, organizing their platform around making the other guy look bad. Sessions’s opening remarks reflect that mindset. The odd choice to frame his policy statement in terms of branding—the American people know what the Republican party is about and what Obama and Pelosi are about—suggests that he’s more focused on politics than on government. The real meat of Sessions’s plan—or, in this case, the main piece of skin underneath the skin—is that second idea, though. “Empower private enterprise,” becomes the congressman’s mantra for the latter half of the discussion. What it means, presumably, is deregulate industry and cut corporate taxes. First of all, as infuriatingly vague as the verb “empower” is, that is technically a policy proposal. While this remains the great, unproven assertion of contemporary political economics, letting the corporations do more stuff and keep more money should (will/might) enlarge the economy and therefore increase revenue, despite the diminished returns of reduced corporate taxation. Maybe. What’s frustrating about this talking point, besides Sessions’s understandable insistence on not calling it “cut taxes for corporations,” is that it’s been the GOP’s solution to everything for the last fifty years. It’s indirectly connected to balancing the budget, but only in the way that the horsepower of your car is connected to not being late for work. One gets the feeling that Sessions would also have answered “empower private industry” to a question about how to address the recession, or unemployment, or stabilizing Iraq, or oil drilling in the Gulf of Mexico, or pretty much anything besides abortion. These are the ideas of a political party that has thought more about taking back government than about running it. Presumably the Democrats are beset by the same thinking, but they at least have the onus of power. It seems possible that the Republicans will take back Congress in November, at which point we will have two parties with both an opportunity to govern and an excuse not to get anything done. One hopes that they will choose the former. One suspects, though, that they will go out like Pete Sessions: refusing to say anything of substance while insisting that we all know what they mean. Love: Comment about David Greggory’s hair. 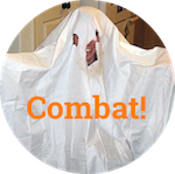 Pingback: Meanwhile, inside Michele Bachmann’s head : COMBAT! Pingback: Something d-o-o economics. Voo-doo economics : COMBAT!